If you are a Chicago first time buyer you owe it to yourself to find out more about the down payment assistance programs that we have available. 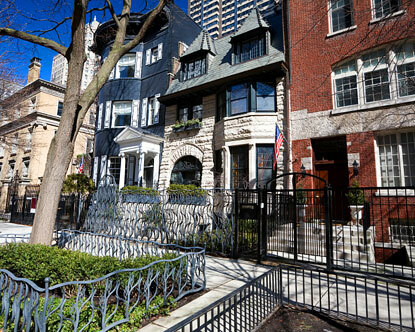 Down payment assistance is available for home in most Chicago neighborhoods. Whether it is a condo that suits your need or a historic bungalow, there are many different homes for sale and with historically low interest rates now is a great time to buy. The City of Chicago Home Purchase Assistance Program assists buyers who want to become home owners but may lack the money needed for down payment and associated closing costs. If you are a first time buyer who is considering purchasing a residential property property in the City of Chicago you simply need to contact us to find if the neighborhood you are considering and you are income eligible. The amount of down payment assistance varies from ten thousand to forty thousand dollars depending on household gross income. All types of housing in Chicago are eligible for down payment assistance funds including single family homes, townhouses, condominiums and owner occupied two, three and four flats. The basic down payment assistance program guidelines are simple. Funds are available only for properties purchased in the City of Chicago. Funds are not to exceed 25% of the sales price of a home. Buyers must still have a minimum of three percent of their own funds toward the down payment. The City of Chicago will execute a junior mortgage which will take a second lien position to the first mortgage and home buyers must occupy the property during the specified term of the junior mortgage agreement. The BuyersUtopia.com system has every property in the City of Chicago that is available for sale to assist home buyers in their search. Finding out if you qualify for the funds and to get pre-approved is a very simple process. Simply fill out the form below or contact one of Ideal Location Chicago Real Estate, LLC buyer brokerage Representatives at 312.433.9300 x 12. Certain restrictions do apply but by contacing the Ideal Location team you will have a representaive coordinate all aspects of your purchase including loan pre-approvals, contracts, property research and down payment assistance funding with the City of Chicago. Funds are limited so take advantage of this program today.